The Sydney launch of Solace & Grief featured an introduction by Scott Westerfeld, copious wine, much book talk and—not to be underestimated—home-baked goods. 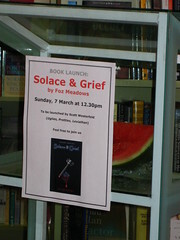 When Foz Meadows first invited me to the launch of her debut novel, Solace & Grief, I had to decline because it was all the way in Melbourne. So I was chuffed to learn that she was having another launch in Kinokuniya in Sydney, which makes sense given that the novel is set in secret places within Sydney landmarks and locations. Scott Westerfeld provided the introduction. I’ve not read any of Westerfeld’s books yet, although I have Leviathan on my wishlist, thanks to various reader-spruikers aided by the weight of an Aurealis Award for Best Young Adult Novel. Westerfeld gave a wonderful run down of some of the interesting aspects of Solace & Grief, my favourite being that it incorporated ‘destiny with a light touch and a sense of humour’. 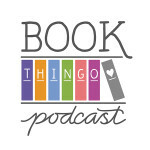 He mentioned that the novel was like experiencing Sydney on foot, which was another aspect of the book that stood out for me—mainly because I was couldn’t imagine exerting that much effort myself, but it’s lovely when fictional characters do it. When Foz Meadows spoke she reiterated some of what Westerfeld had talked about. 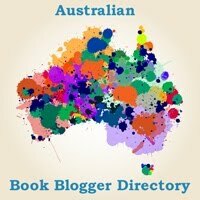 She said that she had come to realise that there were readers out there for whom all these wonderful urban fantasy books were in fact set in very familiar places. 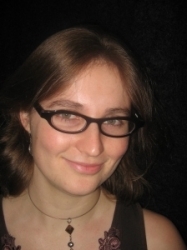 So she got the idea for a book set somewhere close to home where readers like her (and us!) could identify closely with the landmarks and the streets and the ambience—hence, Sydney. The speaking parts over, everyone was encouraged to mingle and partake of the food. I found out that the author’s mum was the one offering platters to the guests, which I found terribly sweet. 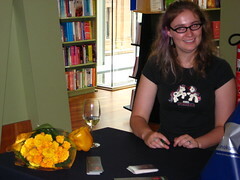 Behind us were seated three of the author’s family friends, who had made the trek from the Central Coast to see her. I also met the lovely Bella of wonderland., seated beside me, who I discovered is relatively new to Sydney and was therefore subjected to many questions of the ‘Have you been to this bookshop?’ variety. Decadence and I quickly lined up to have our books signed while Meadows’ fingers were still nimble! She mentioned receiving a yellow capsicum from someone, and the mystery of the random produce deepened when we noticed that there was a watermelon behind the lectern (apparently it was given to Westerfeld). Kinokuniya was an excellent venue for the launch, and even though the shop was busy I didn’t notice any adverse impact on the event. The oddest thing I noticed was that we were located around the Self-motivation section of the shop. I wasn’t sure why—perhaps for the natural light? I also didn’t notice any of the staff, apart from the lady who was handling the organisation of microphones, tables, etc. Later, as I lined up at the counter, I overheard one of the counter staff comment that the book seemed to be flying off the shelves, and the staff member next to him was like, ‘The book was launched here. Today. Just over there.’ Heh. The guests seemed to be a diverse mix that included the author’s family and friends as well as fans of Westerfeld and partner, Justine Larbalestier, who all came along to check it out (and I suspect most of them bought the book because Westerfeld’s intro really was rather enticing). As the crowd thinned, the author invited us to a nearby pub for more socialising, but unfortunately I couldn’t linger. I did, however, pick up an extra signed copy of Solace & Grief. I’ll be posting my review within the next couple of weeks and I’ll run a give away then, so watch this space! Profile photo credit (top left of page): Foz Meadows. You can check out more photos from the book launch at Flickr. Decadence also posted an account of the book launch here. Tagged foz meadows, kinokuniya, scott westerfeld.